A good description of the meaning and value of NDFd to an US dairy farmer. Generally, forages in the US are not digestible as in UK & Ireland and so the US challenge is to increase the digestibility. In the UK and Ireland lush grass is often too digestible and so needs some fibre to keep the rumen healthy. NDFd also demonstrates the rate of digestion. The rate of digestion of a raw material indicates how that material will react with other ingredients in the diet. 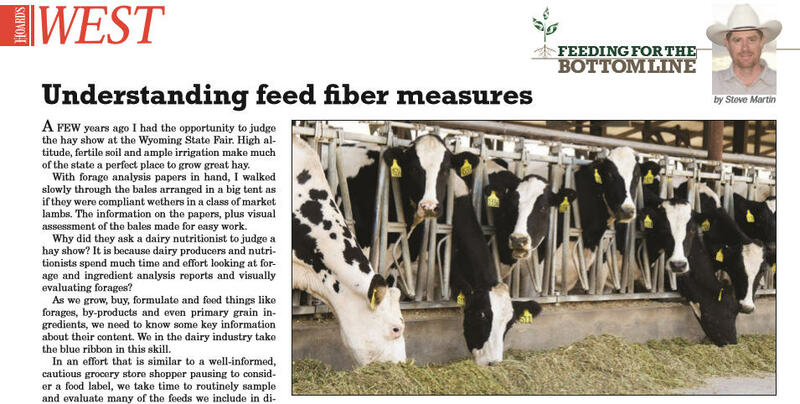 Is fibre required to ‘slow the rumen down’ or as an economical source of energy. Energy is almost always cheaper in the form of wheat – so long as the rumen can be kept stable. NIS is an effective rumen buffer as it is forage fibre. NIS carries starch. Please click on the image below to download the full article.